In 1996 I started The Training Oasis, Inc. In February, 1997, I launched our Spice of the Month Accelerated Learning Ezine to share tips for improving the effectiveness of training and development. In 6 years, the subscriber base grew to well over 4,000. 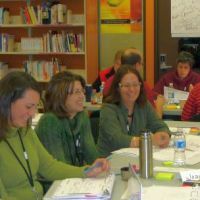 Over 20 years ago, I heard Dave Meier from the Center for Accelerated Learning use the term "pour and bore" to describe seating participants in rows and boring them with presentations until they are in a comatose state. It's 20 years later and there has been little change in the strategies that are used to offer training. There are new delivery channels and black and white overheads have been replaced by PowerPoint and Prezi, but the fundamental approach is the same. Today, "pour and bore" is still the order of the day. I can't take credit for that term but it still applies. The result of companies reducing the amount of time allocated for corporate training is that content is crammed into increasingly tight timeframes. This has created a challenging learning environment for introverts and analytical learners who need processing and "thinking time". It also shortchanges kinaesthetic learners who need to be actively engaged in the learning experience. A little knowledge is a dangerous thing. Based on research about the average attention span of adult learners, presentations should be kept to no longer than 15 - 20 minutes. Unfortunately, this research is often misinterpreted by conference and meeting planners. Adult learning theory has been so poorly applied that it is now common practice to change topics and speakers every 20 minutes. While Pecha Kucha, Ignite, TEDx Talk, and Campfire (at trade shows) formats make it possible to deliver content in short sound bites that are more compelling, they are abused. This parade of "talking heads" does not create more interactive or effective learning. It only prevents speakers from covering content in depth. It would be far better to have fewer speakers and give them longer blocks of time. This would allow them use these formats to deliver compelling content and go deeper and deepr. These sound bite presentations could be immediately reinforced by meaningful participant exercises to provide an opportunity for reflection and application. A variety of approaches could be used individual exercises, exercises in pairs, trios, and small groups. The formats that could be used for these exercises include cases, write your own role-plays, forum role plays, brainstorming exercises, games, board games, card games, game shows, and more. For well over a decade, to reduce the amount of time that employees are away from work, many companies have almost entirely scrapped face-to-face training and put most of their eggs in the e-learning basket. This strategy is flawed for a number of reasons. While it has a chance of working for technical training, computers can't teach people management, interpersonal, and soft skills. Even technical training often requires hands-on practice to ensure skill mastery and proficiency. As a rule, IT firms and professionals are "prime" in the e-learning development process. Instructional design and adult learning principles are not their areas of expertise. 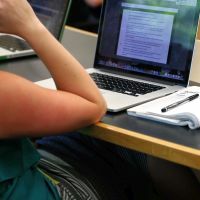 "The Google trend graph for instructional design, the term and field of study, would seem to indicate that interest has declined steadily over the last 12 years. And while it looks to be flattening out, it is still trending downward." This has resulted in tedious, text heavy page turners that miss the mark in terms of producing desired learning outcomes. To save money, many organizations outsourced e-learning design to low cost foreign suppliers. The cost is low and so is the quality. Instructional design rates in North America have plummeted and instructional design is becoming a lost art. In "Why Instructional Design is No Longer Trending" Learning and Development Specialist, Brent Schlenker, higlighte d the fact this downward trend in instructional design. While I have still had the opportunity to design and facilitate interactive training and development programmes, primarily in Asia, the Caribbean, and the Middle East, there was definitely a shift in North America. As a result, in 2003, I made the difficult decision to suspend publication of Spice of the Month Accelerated Learning Ezine. and retire the collection to a pay-to access archive. For a while, the word "training" in my comany name became a liability. I re-branded and migrated my company's team building services to the Executive Oasis International brand. 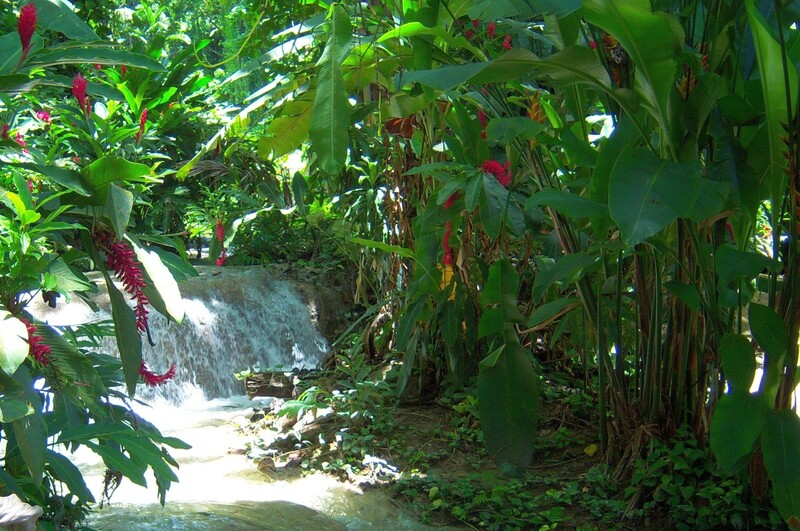 I have applied my accelerated learning design skills to executive retreats, team building, and my own training and train the trainer programmes. I have had the pleasure of working with companies from 18 countries in North America,the Caribbean (Jamaica, Barbados, Dominica), Asia (Singapore, Malaysia, Thailand, India), the Middle East (United Arab Emirates, Bharain, Saudi Arabia, and Africa (Egypt, South Africa, Sudan). Today, many companies are realizing that e-learning will only get them so far. I have always believed that e-learning can be interactive and effective if it is designed based on solid adult learning principles. For example through the use of vivid images, colour, upbeat videos, and gamification, e-learning can be an excellent tool for covering information. This would reduce the need for boring presentations and carve out more time for practice and interaction when participants come together. Companies are also re-thinking the importance of management development initiatives for emerging leaders as well as executives to address the challenges of improving employee morale and retention. Training to improve financial acumen is also becoming increasingly important. The need to modify training to meet the needs of new generations with shorter attention spans and higher expectations with respect to production values is also being recognized. Meeting and conference planners are recognizing the shortfalls of traditional instructional methods. 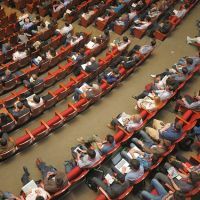 In an effort to reverse the decline in conference attendance and association membership, many are eager to embrace gamification and other more interactive and effective approaches for delivering educational content. Set-up: Participants are seated at round or rectangular tables instead of in rows. Fishbowl arrangements also work well (circle with chairs or table in the middle for forum role-plays). Colourful posters and peripherals are on the walls. Music is playing. There is background video or a slide show of stunning images related to the topic on the screen. 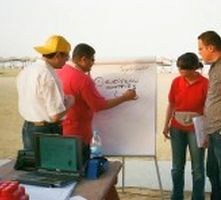 In short, participants would be active, alert, energized, and engaged before, during and after the session. Want to learn more about how to leave boring training and educational sessions behind with accelerated learning? Our new e-book is now ready for purchase. This 132 page e-book is jampacked with session starters, group exercises, games, brainstorming exercises, energizers, and more! Browse the titles in the "pay per view" archives for our Spice of the Month Accelerated Ezine, They're filled with hundreds of tips, tools, and strategies that you can use immediately to improve the effectiveness of training, workshops, and conferences. 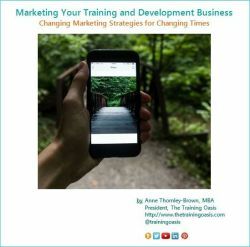 Anne Thornley-Brown, MBA, the founder and President of The Training Oasis, Inc., has spearheaded management development initiatives for 2 major Canadian corporations. For over 20 years, she has shaped the direction of The Training Oasis, Inc. and its sister company Executive Oasis International. Anne has also been interviewed and featured in Forbes, The Globe and Mail, the National Post, Profit Magazine, Successful Meetings, Smart Meetings, and numerous other publications. In addition to designing and faciltating programmes for companies from 18 countries, she is a well respected blogger. She has blogged for Plan Your Meetings by MPI, The Huffington Post, Event Manager Blog, Cvent Blog, EventMobi Blog, and Elite Meetings, to name a few. 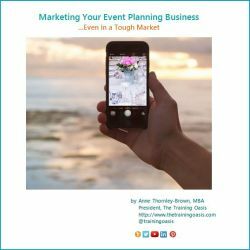 For over 8 years, she managed the Event Planning and Event Management group on LinkedIn. As the group grew from 4,000 to 350,000+ members, I launched 18 related groups and recruited, trained, and managed the leadership team. Need even more tips to take the tedium out of conferences and training sessions? Hot off the Press & Ready for Purchase! "Accelerated learning (A.L.) is a total approach for speeding and enhancing both the design and learning processes. Based on the latest brain research, it has proven again and again to increase learning effectiveness while saving time and money." Every month, we'll deliver an update with team building tips, our latest blog posts, and news about our services, straight to your inbox.